BookYap’ Review: For those of you who didn’t like chemistry classes back when you were in school (like me), don’t let the title of this book scare you. The book has two parts, divided into 8 chapters, with many graphics, tables, charts, etc. which makes the book fun to read and easy to understand. 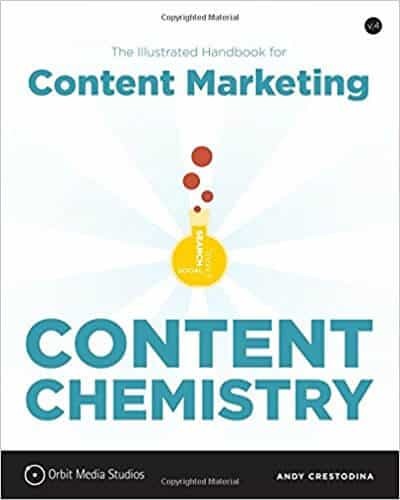 With many years of experience in the web content marketing industry and the help of his team at Orbit Media Studios, Andy Crestodina had produced an easy-to-understand roadmap about content marketing in the form of a book. Believe me when I say this: I have read many books on the topic of content marketing, and so far, this one is THE most entertaining, fun, and easy-to-read book about content marketing out there. If you work in a company’s marketing department or have just started a web design/marketing business, this is the book you should read. And if you are one who likes to find another best book related to this topic, I would recommend the book called Absolute Value by Itamar Simonson and Emanuel Rosen. I have been running a web design and SEO agency for about a decade and have written over 100 articles related to the web design, SEO and online marketing. This experience gives me good insights into the value of a book like this. This book divided into 8 sections, and I will provide my thoughts on each section. As readers, we often ignore the introductions in books. But I highly recommend you read this book’s introduction. It will provide you with an understanding of the revolution of content marketing so you can quickly catch up and learn what’s worked in the past, and what works now. This will make it easier for you to understand why one content marketing approach works, while others don’t. In this section, the author provides a case study to show you how you should invest and measure the return on investment (ROI) of your website’s content marketing campaigns. This is a helpful approach to show you the right way to promote and track content marketing campaigns, because so many people, especially small business owners, are approaching it the wrong way. The most common mistake small businesses often make is set up a “brochure-style” website – while they try to compete with companies whose websites are more strategic, and prepared to engage with their visitors more effectively. They don’t understand that “brochure-style” websites are for businesses to point their “already won” customers to – and that if they’re trying to win new customers – they need to have a strategically-built, custom website that can help them convert new online visitors into new customers. Bonus: Here are two articles where I explained some good perspectives when it comes to how to view your business in regard to digital marketing, and how to produce the type of content that will interest your target audience. 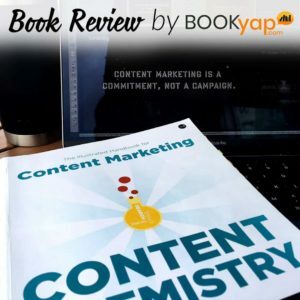 One quote the author cited in this section which I like very much is: “Content is the Help, Advertising is the Hype” by New York Times bestselling author, Jay Baer.